The focus of this article is whether the Great Recession has marked change rather than continuity in the performance of radical left parties (RLPs). The first section outlines the principal electoral data; the second section focuses on the opportunities for RLP success both before and after the Great Recession; the third section analyses the main constraints; the final two sections examine the cases of Syriza, Podemos and the idiosyncratic example of Jeremy Corbyn’s Labour (although Labour is not a radical left party, Corbyn represents the culmination of a historical tendency for the British radical left to work through Labour rather than outside it). Even before 2008, external socio-economic conditions in many European countries provided growth potential for RLPs. However, factors internal to the parties themselves were the principal constraints. 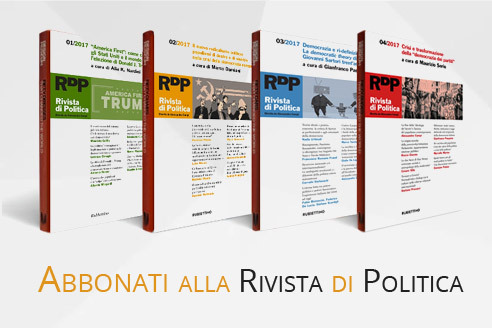 As the crisis developed, opportunities increased, including not only changes to the external environment (the intensification of economic distress and the breakdown of established party systems), but also new strategic possibilities within RLPs themselves (as differently expressed by all three case studies). Nevertheless, the most successful examples (Syriza and Podemos) remain exceptional and most other parties lack their combination of external opportunities and internal resources. Moreover, with the end of most acute recessionary period, European RLPs are likely to face decreasingly favourable external environments. Therefore, most RLPs will remain relevant but minor elements in most European party systems, without making more substantive breakthroughs. The principal obstacle is that the radical left remains a force produced by the decline of the social democratic tradition, rather than one able to transcend this tradition into a vibrant and viable new alternative. 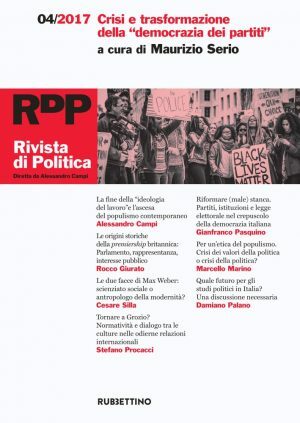 In the last years, characterized by the economic and social crisis, the Italian radical left has appeared progressively marginalized in the national political scenario. 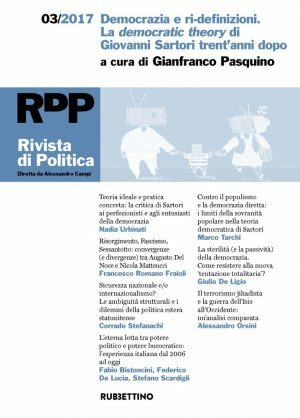 It has further fragmented in a series of small parties and new political formations – Rifondazione Comunista, Sinistra, Ecologia e Libertà/Sinistra Italiana, Possibile and Altra Europa con Tsipras – that seem unable to converge on a common political project. What are the reasons for their division? Are there any chances of collaboration between them? In order to answer these questions, the article proposes a diachronic analysis of the ideological, organizational and strategic characteristics of the various political forces, trying to identify the reasons for their separate paths and the common grounds for a possible dialogue. The article proposes an in-depth analysis of the genesis and development of the Spanish political movement Podemos. Departing from a critical reconstruction of the Spanish economic, social and political context and a wider contextualization in the scenario of political change characterizing European democracies, the focus is on the multiple and faceted souls of Podemos. Podemos is a paradigmatic example of “movements party”. It’s an anti-establishment, a populist and a radical left political organization, at the same time. The contribution analyzes the communication strategy adopted to “assault the sky” – strongly focused on the popularity of leaders, and particularly Pablo Iglesias – and the organizational structure of the movement, pursuing a difficult balance between the promotion of online participation and the rooting in the territories. In conclusion is highlighted the potential tension between the participatory rhetoric and the horizontal structure adopted and the predominant role played by the élite. In particular, the founders of the party, mostly political scientists, seems to configure a novel kind of political professionalism and intellectual vanguard. 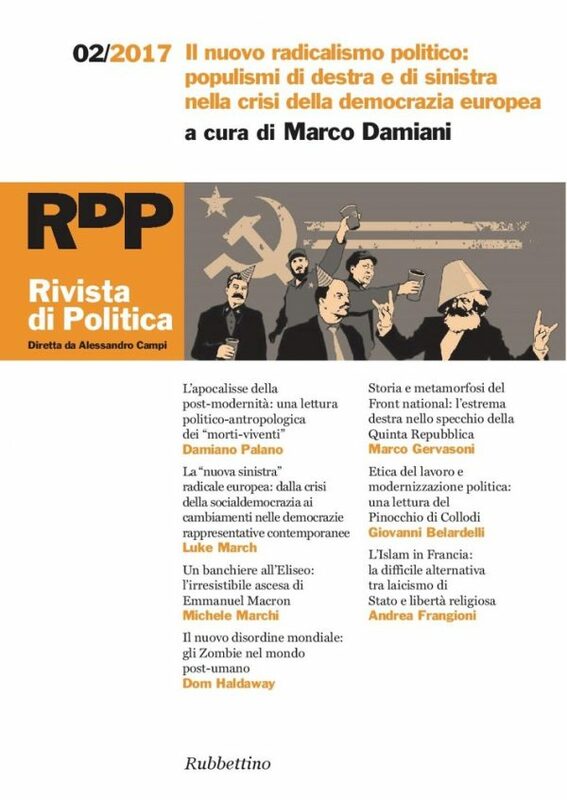 Marco Damiani, Syriza, Greek Coalition of Radical Left. Populism or non-populism? The article focuses on the case of Syriza, the Greek party of radical Left. The aim is to try to understand whether Syriza is a populist party, or not. Starting from this premise, the paper is divided into two parts. The first part aims to reconstruct the Greek political system and the recent history of Syriza, placing it within the “democratic area” that, in Greece, operates as an element of stabilization of the national political system. The second part of the article is dedicated to the identification of the most important variables that are necessary to include or exclude Syriza from the European Left populist parties. After defining the theoretical framework, the variables will be applied at the empirical level and referred to the specific case study. The article deals with the relationship between the crisis of representative democracy in European political systems during twentieth century and the increasing politicization of the anti-political sentiment. It will therefore be themed the prospect of a new cleavage politics on the basis of social and economic processes that affects international European societies, and at the same time will be analyzed the ideological trends of the parties of the new populist right. To understand the nature and the development of anti-establishment parties is necessary to investigate how these are bearers of a challenge to democracy itself, or how much they represent the light of the failure to redefine the contents and forms of political representation in European advanced democracies. In the first case the parties would be anti-establishment as the traditional anti-system parties described by Sartori (1976), in the second case they would express rather a selective rejection of the actors of traditional politics, placing itself at the “periphery” and not “outside” of representative democracy. The FN of Marine Le Pen has a precise place in French history, able to reconcile with each other elements of political traditions that over the previous two centuries have fought hard. This explains the relationship of conflict and at the same time close to the political parties, of all minority and marginal, that sit at the right hand of the Front National, and with a greater sense of cause can be described as “extreme right”. In the last part of the paper we will confront the National Front with so-called populist parties in other European countries. In the last years French National Front and British United Kingdom Independence Party (UKIP) have been increasingly associated to one another under the umbrella of such categories as “populism”, “Euroscepticism” and “radical right”. Yet, in the aftermath of the European elections of 2014 the two parties did not reach an agreement to form a common group in the EU parliament. The absence of a negotiated convergence of these political forces is not too surprising, if we reflect on what differentiates them in terms of ideological background, strategic options and political system. Nevertheless, the growing tendency shown by commentators and analysts to consider Marine Le Pen’s and Nigel Farage’s parties as two of a kind, due to the fact they are an excluded third pole in their respective national contexts, can make a comparative study useful to be proposed. Giorgia Bulli, Germany, Radical Right and Populism. End of an Exception? The article deals with the recent development of populist parties and movements in Germany. The Federal Republic of Germany has for a long time represented an exception in the West European political landscape regarding the success of right wing populist parties. The recent electoral success of the party Alternative für Deutschland (AfD) and the mobilization power of the PEGIDA movement seem to evidence a political realignment to the widespread populist success in West European countries. What determined this new political tendency? Starting from the description of the leading phases of the radical right development in Germany since the end of WWII, the articles highlights the main political, economic and social variables responsible for this new political trend. If the Twentieth Century waited with dread for the absolute enemy to come down from the most remote depths of space, in the new century the radical threat comes instead from the bowels of the earth. It shows the haunting face of the living dead. Even if zombies did not invade our cities, they have indeed really ‘contaminated’ our imagination, penetrating almost every interstice of the western culture. The cause of their fortune is not only linked to the climate of the «global war» against terrorism. Probably in this figure there are ‘condensed’ many of the fears that trouble our imagination at the dawn of the third millennium, and above all the fear of catastrophe, that remains perhaps the only way in which the West thinks of its future. In recent years, zombies have had an important role in the imageries of contemporary TV series. On the one hand, the long tradition of this spreadable mythology, extending its roots to cinema and other media, has allowed the television medium to build its stories on top of pre-existing narrative worlds, and then to modify them to pursue its own representational poetics and policies. On the other hand, undead narratives have been able to adjust well to the transmedial needs of convergent and digital TV. UK TV series Dead Set, created and written by Charlie Brooker, is an exemplary case history of both continuity and innovation in the genre, leading its zombie narrative to interrogate itself, auto-reflexively and meta-textually, on the role of television itself and on its relationship with the audience. Since the beginning: what happens if the only ones not aware of a zombie invasion are inside Big Brother’s house? This article begins by reflecting on the narrative possibilities that emerge from «expansive» and «transmedia» narratives about zombies, and in particular a shift of focus from the living dead to the living. Its main objective is to propose an interpretation of these communities as a metaphor of neoliberal society. This emerges in particular when considering representations of identity politics. It builds on the rich, pre-existing body of work on zombie films, which interpret the «living dead» as a social metaphor – of consumers, biological warfare, or fascist subjects – and reads survivors as radical or liberal representations of women and people of colour. Extending the latter readings to the present, it argues that these subjects can be read within a broader «neoliberal» framework of total assimilation in the name of equality and freedom, while nevertheless remaining enclosed within the strict regulations of a kind of «market» where the only relevant factor is survival. A growing literature is emerging on the connection between Popular Culture and International Relations. Within the first camp, Zombies have experienced in the past decade a sort of renaissance. For the purposes of the current analysis, the main feature of the Zombie narrative is that most, if not all representations of the genre depict a post-apocalyptic scenario, where security is constantly endangered and political institutions have dissolved. As a result, the use of violence and the practice of conflict acquire a different meaning compared to real life. Such a difference gives us the opportunity to speculate on war and warfare as they are depicted in a counter-factual world. In this article we will take AMC’s TV series The Walking Dead and its portrayal of war-like events with a view to spell out the social meaning of war and, equally relevant, how the practice of war changes accordingly. Le avventure di Pinocchio by Carlo Collodi is very closely connected to the moment in which it was written – 20 years after the formation of modern Italy. From the first scenes we see a very poor society mirroring Italian society. As in any poor society the problem of hunger is one of the biggest Pinocchio has to face. Through difficulties of Pinocchio we can see the issues Italian state must confront in order to become a modern country. As in the other famous book for boys Cuore by E. De Amicis school plays a central role in the story of Pinocchio. But, as the author of the article underlines, it is the role of work which is most important in the transformation of Pinocchio but also of the entire country. So Le avventure di Pinocchio can also be read as part of the canon of books that extol the virtues of work and making an effort.